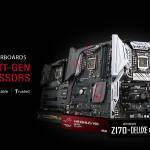 Gaming chairs are becoming one of the major accessories people are getting to go with their gaming PC’s and even gaming consoles. 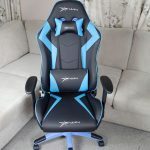 Not only do gaming chairs offer a great and fun look to them, a lot of them also help with your posture and are much more comfortable to sit in for prolonged periods of times. 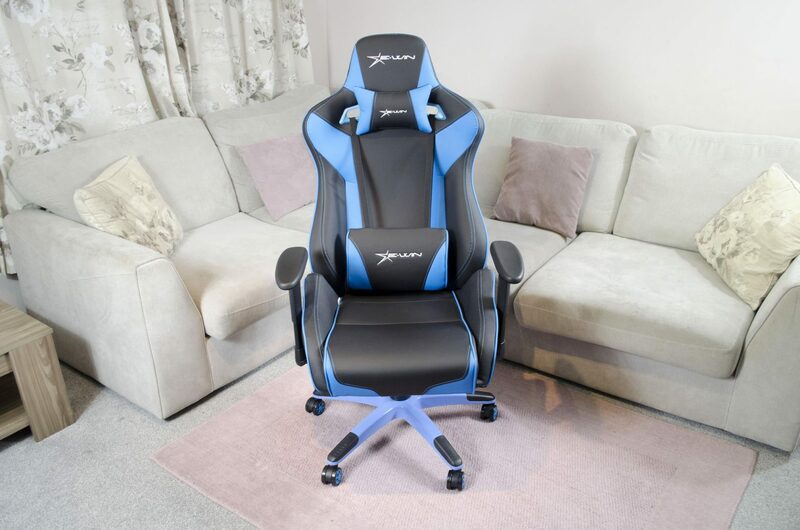 As with most things, when it comes to gaming chairs it’s better to spend a little bit extra up front and make sure you are getting a good quality item. 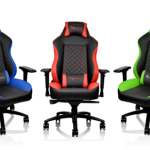 Previously, we have looked at EWin’s Champion Series Gaming Chair but today we are taking a look at their new Flash XL Chair. The Flash XL series is designed for bigger and taller making it quite a big chair itself. The chair is designed to hold people up to 550lbs which is quite a feat in itself. 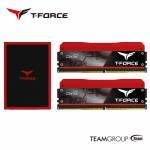 Aside from that, the Flash XL comes with all the standard feature we would hope to see from a gaming chair such as 360 swivel, tilt, adjustable armrests,5-point base and a neck and waist pillow for added comfort. 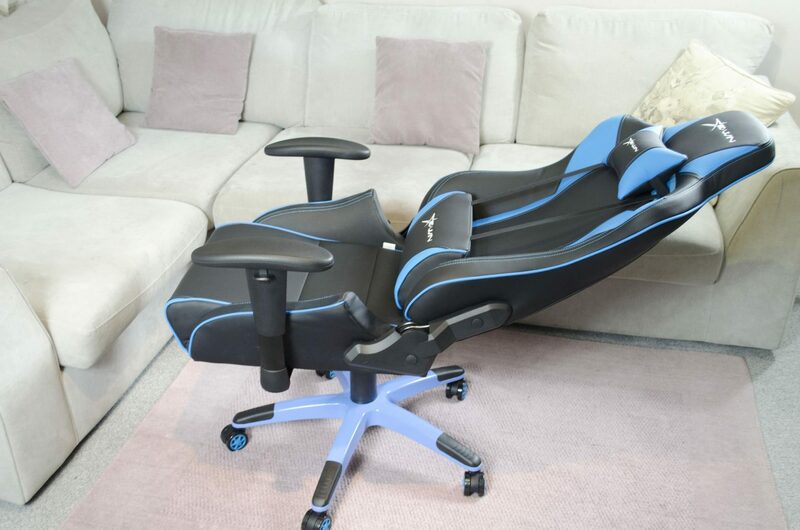 All and all it looks like a good chair, but let’s take a closer look at it to see how it really matches up to other gaming based chairs. 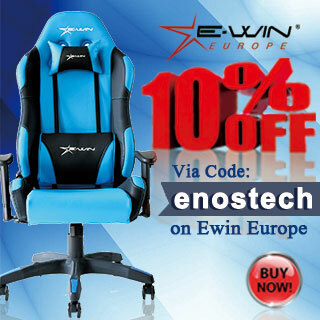 Putting together an EWin gaming chair is quite easy and straight forward. EWin chairs come with the arm rests already installed so that saves you a couple of minutes alone right there. The cushions also come installed on the back already as well, though you will have to move the neck cushion to where it belongs. 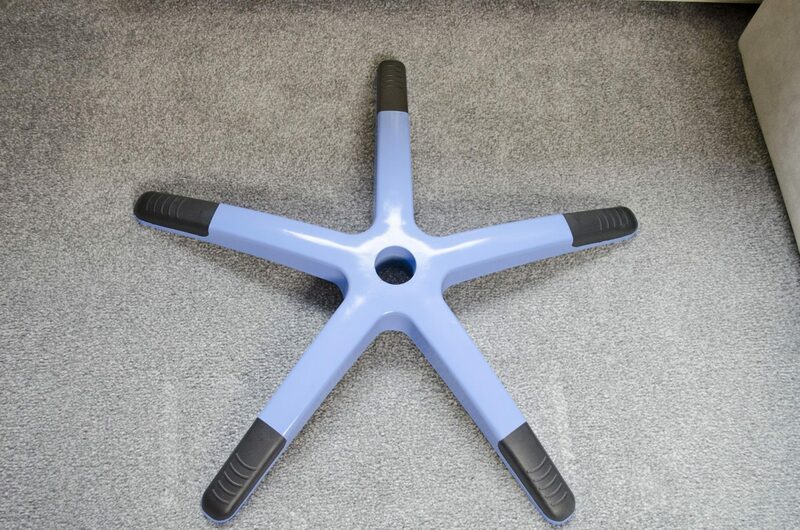 The 5-pointed base is very sturdy and will make sure you don’t tip over in the chair. There are also some grips on the topside for those who like to put their feet on the base. 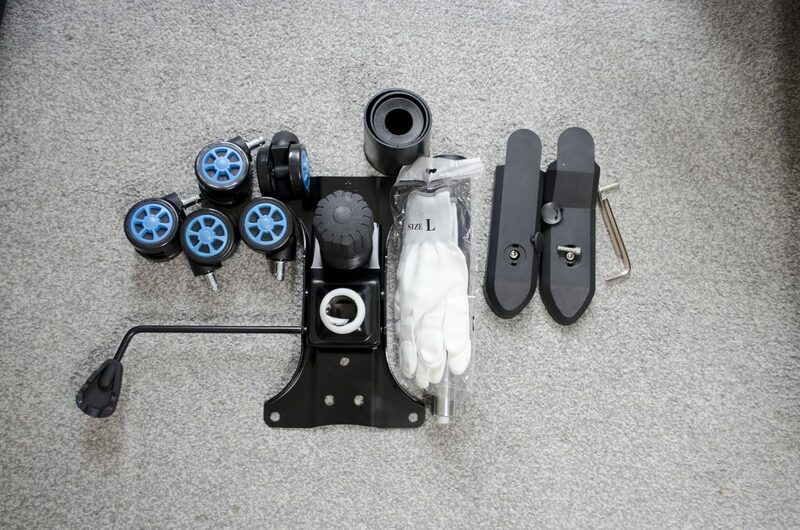 Lastly, there is a small box that includes all the bits and pieces you will need to put your new chair together. 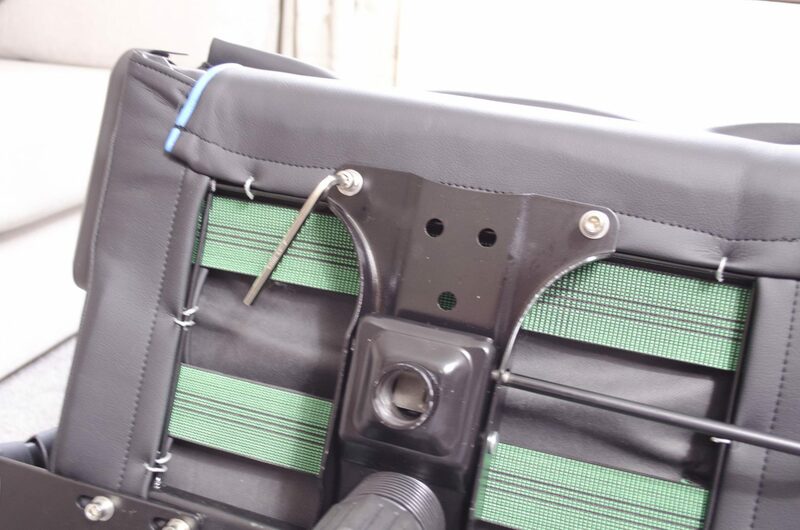 EWin have also included a pair of gloves so that you can make sure the chair is still in brand new condition and not all covered in fingerprints after putting it together. Now to start putting it all together. 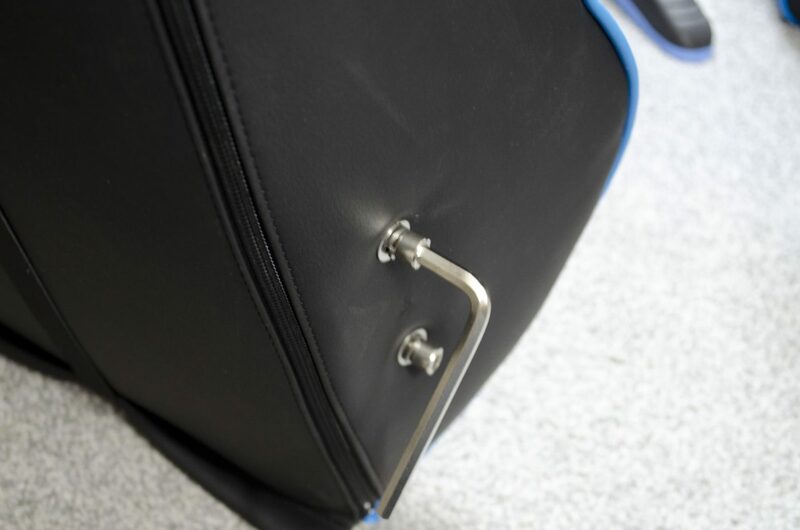 First, you will want to take the 2x screws out from each side of the back of the chair. 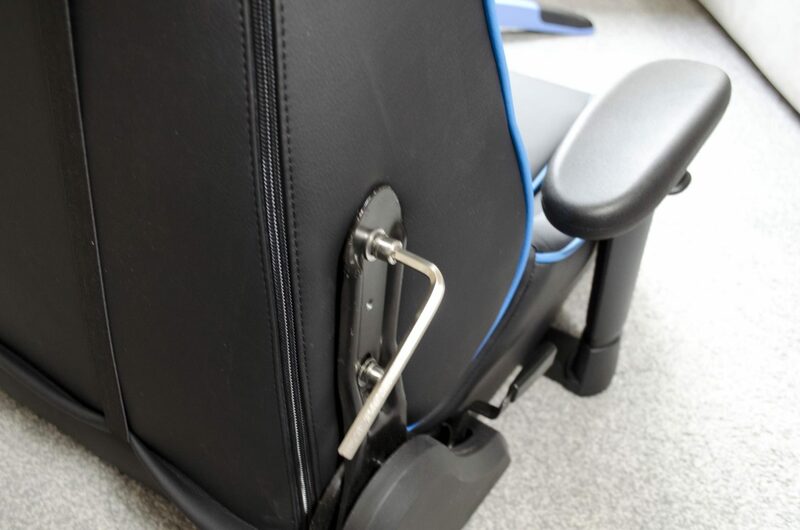 Next, you line the back of the chair up with the brackets from the bottom of the chair and screw it in with the screws you’ve just taken out. 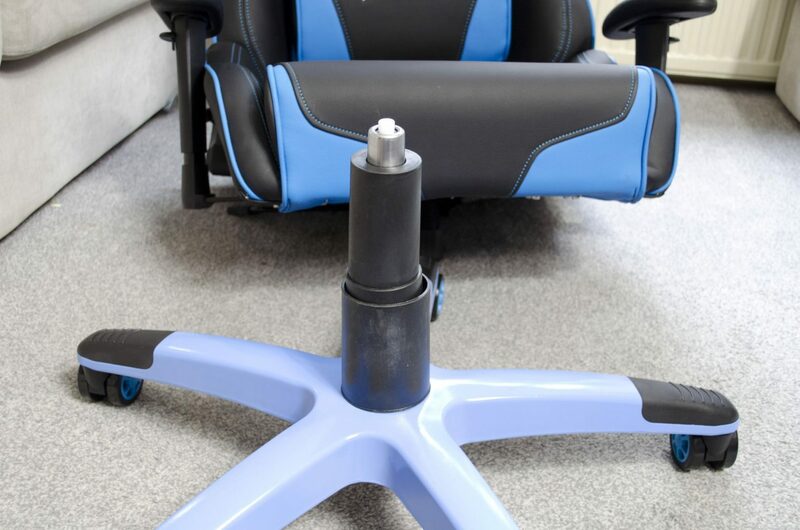 Now you will want to install the base onto the bottom of the chair. Again, there will be 4x screws to take out, then you line the base up and screw them back in. Putting the casters in is quick and easy as they literally just push into place. Almost done already! Now you want to place the hydraulic gas lift into the 5-pointed base and put its plastic cover over the top of it. Lastly, you just set the chair on top of the gas lift, matching up the hole in the base of chair with the gas lift. That’s it! 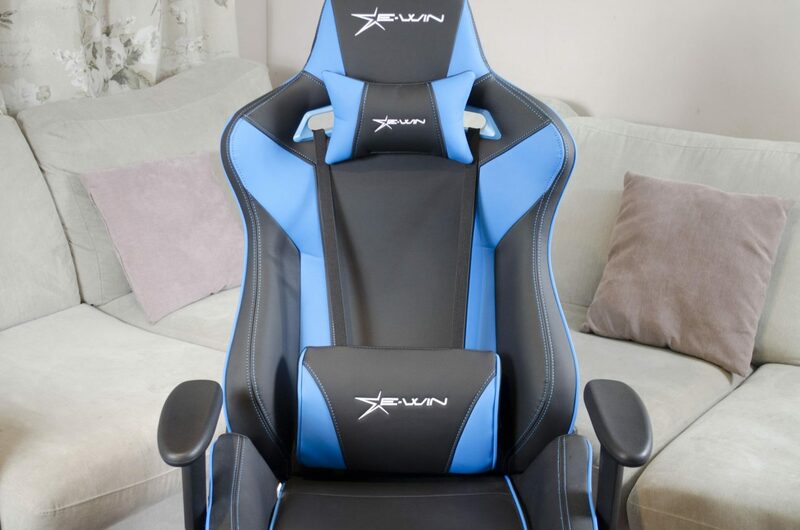 It really is that quick and easy to set up an EWin gaming chair and get it ready for hours of gaming fun! 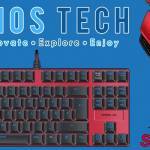 Now that the FLASH XL Chair is all set up, we can take a better look at it and its features. 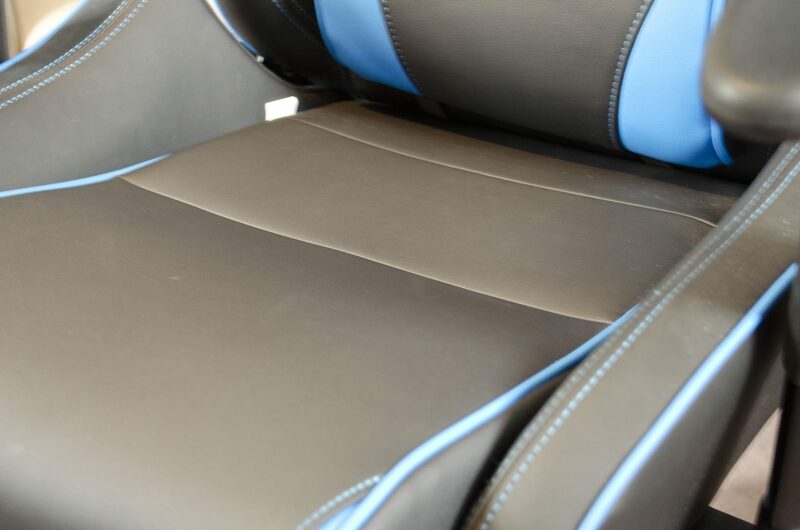 First, the PU leather not only offers a comfortable surface to sit on, it is also quite durable and won’t rip or tear easily. EWin has also gone and included a neck and waist pillow and while they may take some time to get used to for some of us, they do come in great handy and will help to reduce back neck pain over longer periods of use. 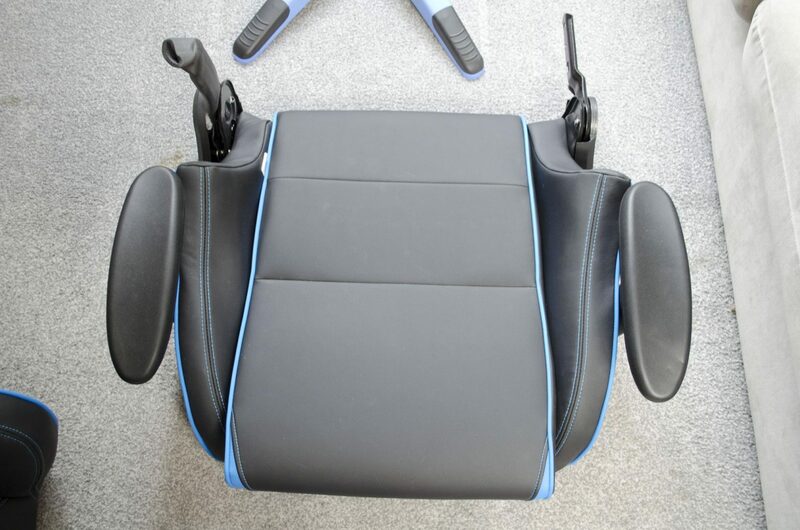 The Flash XL is also designed with a cold cure sponge which helps to regulate the chairs temperature and helps to keep it from getting deformed over time. This chair comes with two pull levers on it. One is for reclining the chair back and then bringing it forward when you want to sit up and the other controls the gas lift, allowing you to lift the chair up, or put it down and it also locks or unlocks the tilt function the chair has so you can rock back and forth in it. 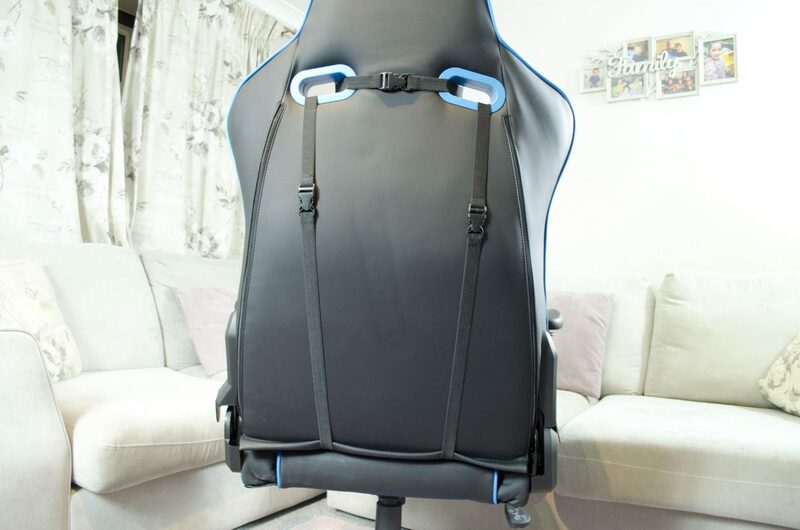 The back of the chair is pretty standard with not a lot going on but we can now also see that the included cushions can easily be removed by undoing the straps and taking them off. 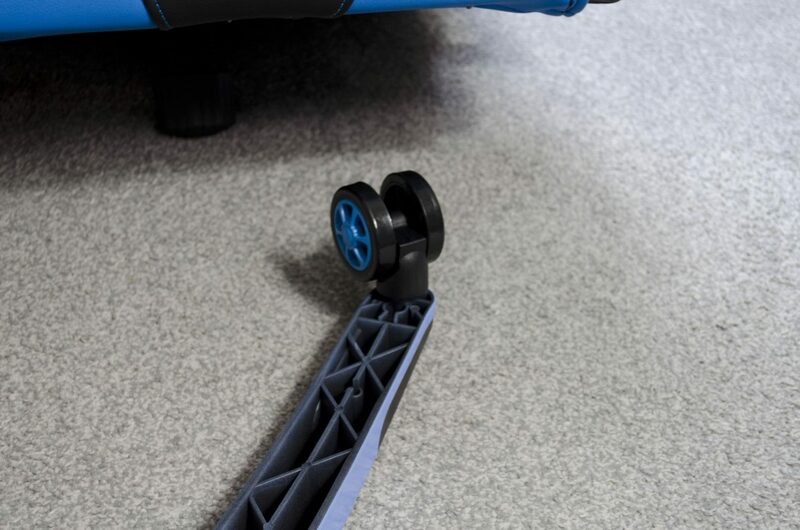 The Casters allow the chair to glide easily across most surfaces. Even when on carpet you will have no problem moving the chair while sitting in it. I also have to say, I am quite a fan of the little grips on the topside of the 5-point base as I also like to put my feet on them and these help my feet from sliding off. 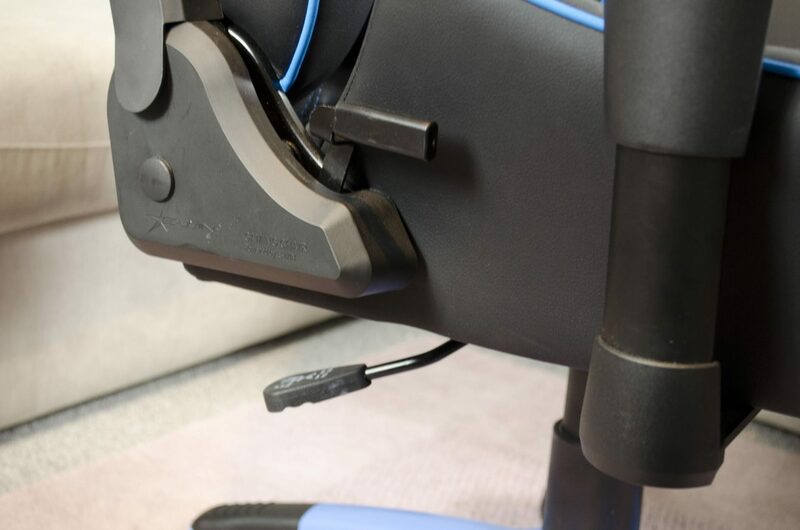 The armrests are easily adjustable by pulling this little button up and then moving the armrest up or down to your desired position. One of the main features that may or may not be to everyone’s liking is that the chair also tilts back up to 155 degrees. Now, I know some are going to be concerned about falling over backward and you would really be a bit silly to not consider it. However, these chairs are designed to stay upright and while I am not the biggest person out there, I did a bit of a rocking test where I personally tried to tip the chair over on purpose and it just wouldn’t go. 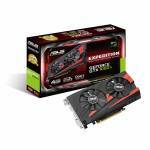 To see this test, make sure to watch the video at the end of the closer look!. Even though this chair is designed for people a bit bigger than myself, I have still managed to use it for around 2 weeks time and am quite happy with it. 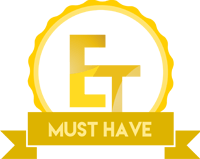 EWin has some great chairs and this is another one they can add to their list and the fact it is designed to cater to people of up to 550lbs it really quite impressive as a lot of chairs top out at around 300-350lbs. I am not even half the weight of the total weight this chair can handle but I did try my best to make sure it was up to scratch. What I can say about the performance of the chair is that it is very good and easy to see that this chair really just is not designed for someone as small as me. As mentioned, when sitting in it properly, I couldn’t have my feet flat on the floor as they just didn’t reach it. While I could get my toes to touch the floor, the heels of my feet could not. My feet weren’t that far away from the floor but it was evident this chair is designed for people quite a bit taller than myself. 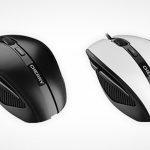 All of the functions I could test worked great, the tilt and swivel features are great fun to play with if nothing else and the adjustable armrests are sure to always come in handy. Being able to recline back in the chair so far is also great and it is nice to know the chair won’t easily tip over. 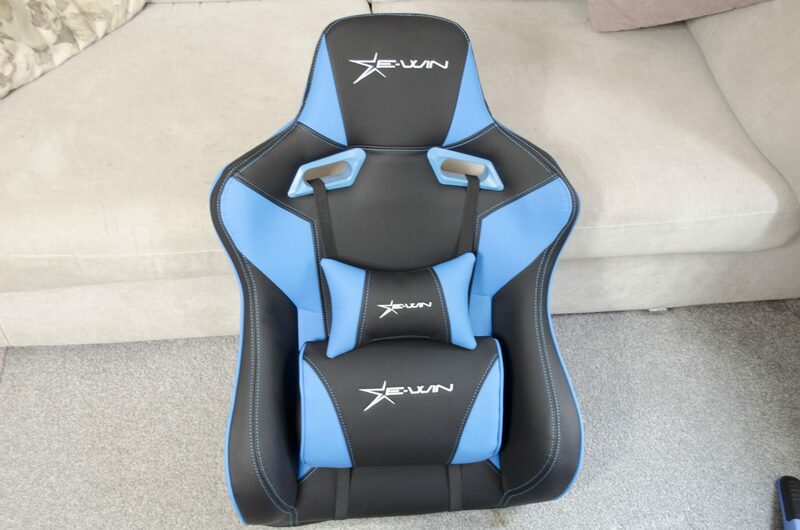 EWin has a great design to their chairs. 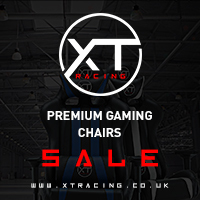 From the durable PU leather, to the cold cure foam technology, the chairs really are meant to last and meant to be used for those longer gaming sessions. Even after sitting in the FLASH XL chair for hours on end as I do most evenings, I don’t feel any discomfort at all. 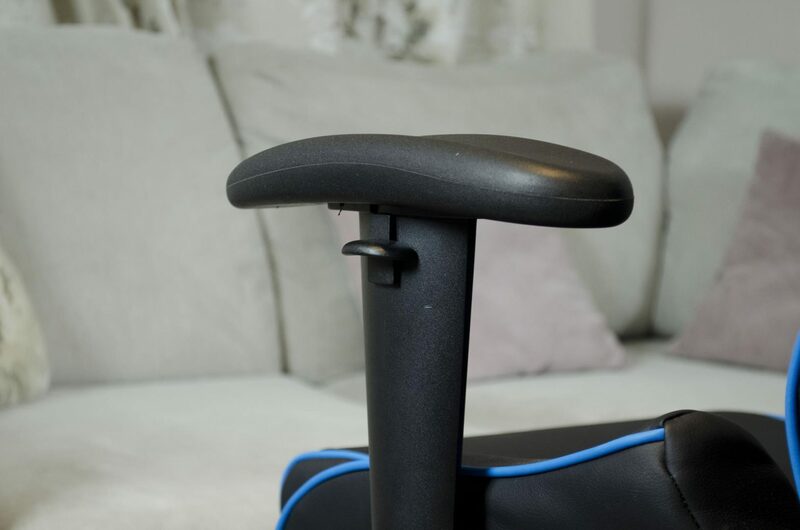 I regularly suffer from back pain and some of my previous chairs would even leave my thighs hurting where they were resting on the chair for so long but this is something I have not experienced with either of my EWin chairs. The Flash XL is definitely designed for people a bit taller than me if nothing else and being capable of holding a person of up to 550lbs is amazing. The chair is fully customizable to each user’s own desired settings thanks to things like the swivel and tilt features and the adjustable armrests. 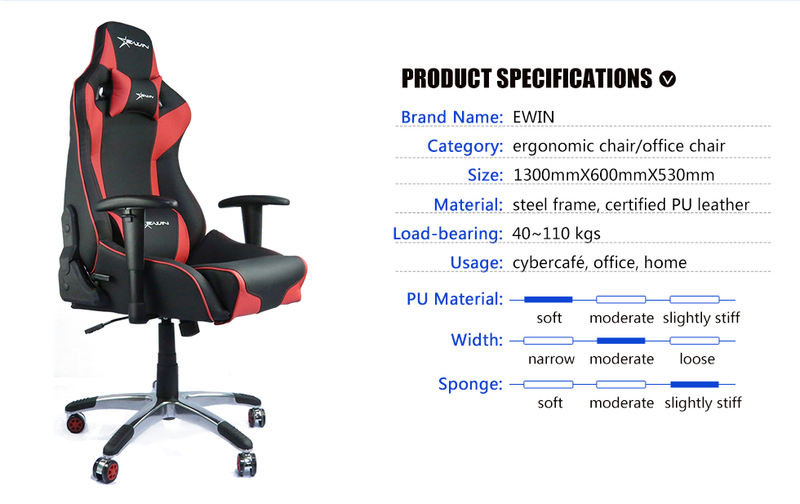 Ewin has done a great job at not only making sure this chair can cater to bigger and taller people but also making sure that they can adjust it to their desired requirements. 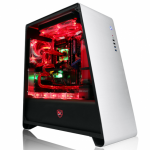 Currently coming in at £295 which includes a 20% discount from EWin, the Flash XL series is far from the cheapest chair on the block. However, this chair is designed to stand the test of time and is made for bigger and taller people which helps to warrant a bit higher price tag. 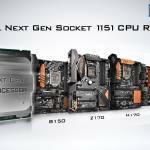 The Flash XL is truly designed from high-quality components and it shows. While some will argue that a chair can not justify such a price tag, I would have to disagree with them and for a couple of reasons. 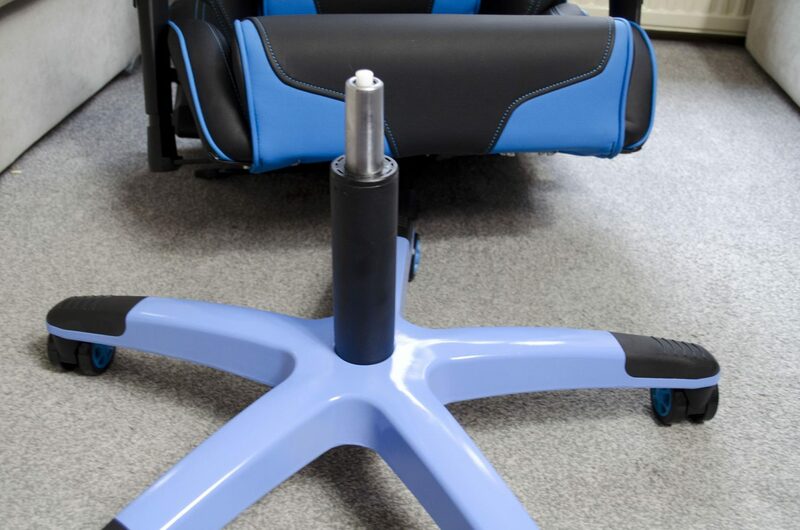 Not only is this chair going to last you a long time unlike other cheaper models, it is also going to help with your posture which is a major plus side for a lot of gaming chairs. 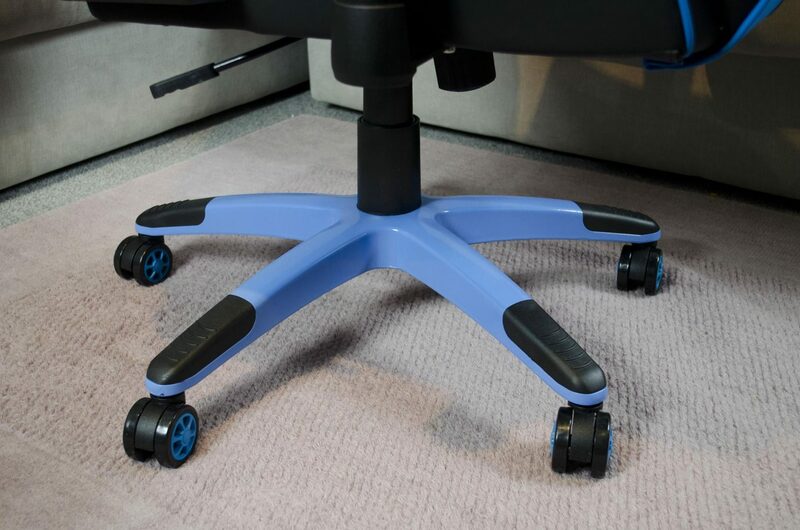 This chair is not only designed for you to sit in and play games, it is designed to help you take care of yourself which it will do a great job of. 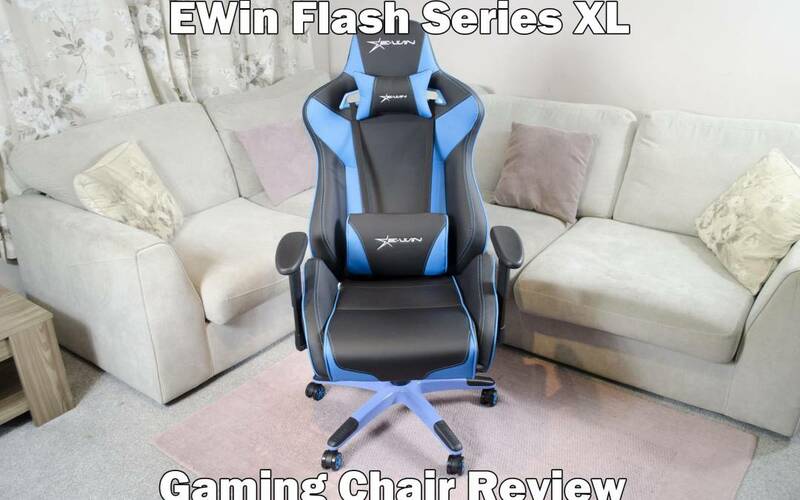 Many thanks to EWin for sending their Flash XL series chair in for review! 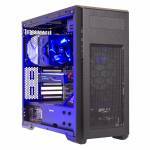 Don’t forget to use code “Ben” for an addition 15% off on the EWin website!